Wildling Forest school is a range of programs for children of all ages to connect them back with nature while engaging them in experiences promoting independence, growing self-esteem, environmental awareness, connectedness and creativity. 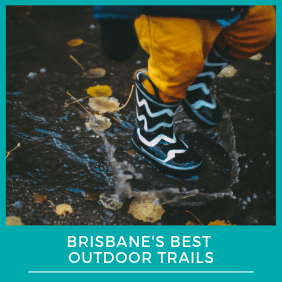 A nature-based playgroup meeting in wild spaces around the Sunshine Coast and Brisbane inspiring young children to develop a love for nature. Location: South Coast, North Coast, Hinterland and Woodfordia. Providing the time, space and the tools for children to learn new skills in nature through play. A wide range of workshop engaging the children in hands-on activities immersing themselves in the outdoor. During this Forest school program, the children are given trust and guidance when needed. They are encouraged to use real tools to make a real solid primitive weapon handcrafted by their very own hands. Safety is clearly explained and some specific rules need to be followed. It is obvious to see that the children appreciate and respect the adults that allow them to take part in real experiences as they work on creating their own primitive weapon following their unique ideas and choice of technique. These two young children interacted with the tools with such determination and concentration. The more opportunities children are given to practice real-life skills, the more confident they become in themselves and their own capacities. The children at Wildling forest School are seeing immersing themselves fully in nature. A stick can become a fishing rod, a sword, a bridge, a wand and the youngsters of varied ages lead their adventure surrounded by an environment that nurtures creativity and feeds their imagination. Ideas are born and memories are created in this gorgeous green environment. Together they work towards a commune goal helping one another to complete their projects. A lot of learning occurs when children are given space, time and opportunities to take risks in an environment that supports their need and desire for adventure. Nicki Farrell and Vicci Oliver child’s right advocates, nature play, free play, risky play and adventure play advocates and protector of childhood.